(NEW YORK) July 19, 2018: As the 28th anniversary of the Americans with Disabilities Act approaches on July 26, the National Organization on Disability (NOD) today released findings from its corporate assessment, the Disability Employment Tracker™. Offered annually, this free and confidential tool provides companies with essential benchmarking data to measure their disability and veterans’ inclusion performance. Among the aggregate findings is evidence that more companies want to diversify their workforce by hiring talent with disabilities, but many are struggling to attract new employees who identify as having disabilities. The release of the Tracker data on this anniversary reminds us of the promise of the ADA—that Americans with disabilities can equally participate in all aspects of life, including the workforce. During a White House signing ceremony in 1990, NOD Honorary Chairman President George H.W. Bush said business holds the key to the ultimate success of the ADA by unlocking a “resource of untapped human potential.” NOD President Carol Glazer says, despite major gains, that vision has not yet fully materialized all these years later. According to the 2018 Tracker’s survey of nearly 200 employers, which together employ over 8.9 million workers, the average workforce representation of employees identifying as having a disability is only 3.9 percent—far below the U.S. Department of Labor target of 7 percent. In fact, only 12 percent of companies reported meeting the target. Across the various channels that companies are using to source candidates with disabilities, the Tracker found that utilization rates were much greater than the rates of resultant hires. For example, while approximately 73 percent of employers are using disability-specific job boards to advertise openings to the disability community, only 36 percent of companies have actually hired candidates through this particular channel. The gap could be attributed to companies’ lack of knowledge about leading practices in disability inclusion, which go a long way in making an employer attractive to this talent pool. Glazer added that many employers are new to embedding disability inclusion within their overall diversity strategy and may need expert assistance to make recruiting and retaining employees with disabilities successful. 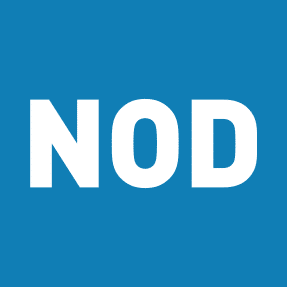 “Organizations like NOD can help companies improve their practices, policies and culture to become an employer of choice for talent with disabilities,” Glazer said. The Tracker found that only 62 percent of companies perform an assessment of their current disability inclusion efforts, potentially leading to missteps and missed opportunities when planning future efforts. “For companies unsure of where to start, using the Tracker self-assessment is a good first step to find out how your policies and practices stack up—and importantly, it’s completely free and confidential,” Glazer continued. Those companies that have made a dedicated commitment to disability inclusion are leading the way—and it shows. The Tracker analyzed what the top performing employers, those with a total disability workforce representation of 4 percent or greater, had in common and having a strategic disability inclusion plan, driven by an internal champion, was key. Glazer notes that people with disabilities bring value to the workplace through their perseverance and problem-solving skills. “When people spend their entire lives solving problems in a world that wasn’t built for them, that’s an attribute that can be translated into innovation and high productivity in the workforce,” she said. View all the results from the 2018 Disability Employment Tracker. Haven’t used the Tracker Yet? Companies that want to start or advance their disability inclusion efforts can get instant access to the Disability Employment Tracker™ and receive a free benchmarking scorecard.